Land Area : 5 cents, 2200 sq.ft. Ground Floor : 1 Bedroom (attached), Car porch, Sit out with sopanam, Hall, Dining, Kitchen. First Floor : 2 Bedrooms (attached), Hall, Balcony. 50 Meter from Tar road. Bus stop : 50 Meter. Cricket stadium – 500 Meter. Mangalapuram Junction : 1 km. A.J. College – 1.5 km. 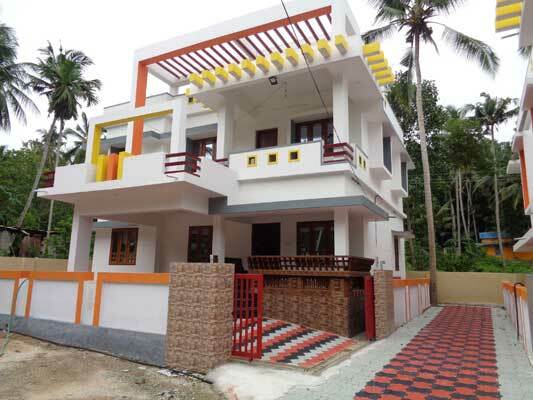 School, Bank, Market, Railway station, Hospital – 1 km. Attingal Junction – 9 km.